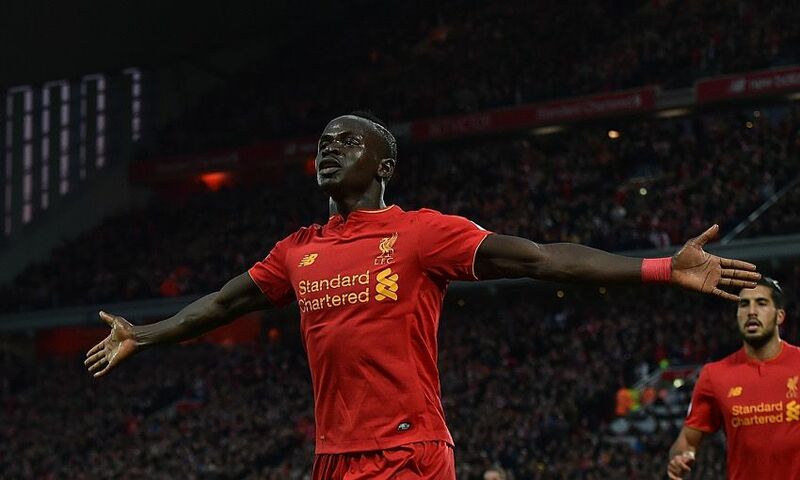 Sadio Mane says Liverpool's success in unlocking a deep West Bromwich Albion defence at Anfield on Saturday was reward for the work done in the build up to the game. The visitors' hopes of frustrating the Reds lay in tatters with just over half an hour gone thanks to Mane's 20th-minute finish and another goal from Philippe Coutinho. And, though Gareth McAuley's late strike gave the Baggies hope, they were powerless to prevent Jürgen Klopp's team from collecting a win that takes them up to second place in the Premier League. Speaking after the game, Mane explained that the hosts had been ready for the challenge of a typically well-drilled West Brom, having worked on ways to pull apart their massed defence at Melwood. "I'm very happy to score the goal for my team," he told Liverpoolfc.com. "Every striker likes to score a goal but the most important thing is the team. "We deserved the win today and played a wonderful game to get the three points. "It wasn't easy because they were very compact but we trained hard [for this] every day in training. "It made it easier because we tried to move between the lines." The Senegal forward went on to highlight his opener, which came courtesy of a delightful Roberto Firmino assist, as evidence of the growing understanding between Liverpool's attacking players. "It was a pass from Emre to Firmino and because we know each other it's easy for me to wait for the ball [to come] and I just put it in," he added. "We know each other now, we try to work hard as a team in training and the game becomes more comfortable."